Less Poison in the Parks; More Owls in the Sky? The recent news that one type of dangerous poison has been discontinued in Los Angeles parks and open spaces was welcomed by Alison Simard of Citizens For Los Angeles Wildlife (CLAW), an environmental group that would like to see all toxic rodenticides (aka rat poison) eliminated completely from city boundaries. But, she conceded, this news is a great first step in obtaining that dream. “Wildlife is the barometer of the health of our environment,” said Simard after the recent special Arts, Parks, Health, Aging and Recreation (APHAR) committee meeting called by the Los Angeles City Council in response to increasing evidence that Los Angeles wildlife have been regularly poisoned from anti-coagulant (blood thinning) rodenticides. 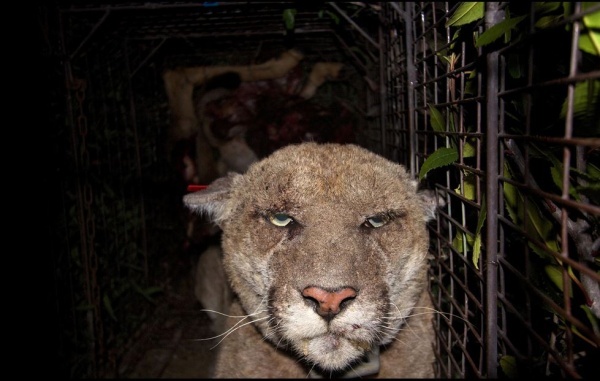 The catalyst for the motion came earlier this year when beloved Griffith park resident cougar, P-22, was found sick from mange as a direct result of eating prey that had ingested anticoagulant rodenticide. P22 after being treated for mange. Photo by NPS. Representatives from the LA Department of Recreation and Park reported to the APHAR committee that they were voluntarily phasing out the use of second generation rodenticides in all 420 parks and wilderness areas in LA – an announcement that brought hushed cheers from Simard and friends. “We have completely removed second generation rodenticides from all of our facilities as a policy decision in response to the motion brought forth and in review of our integrated pest management program,” said Laura Bauernfeind, Grounds Maintenance Supervisor Director of Facilities. Bauernfeind explained her department still wants first generation rodenticides in its arsenal against the peskier pests – mainly ground squirrels – that multiply and cause a ruckus in rec centers and may carry infectious diseases like the plague and the hantavirus. It’s for health reasons, she argued. 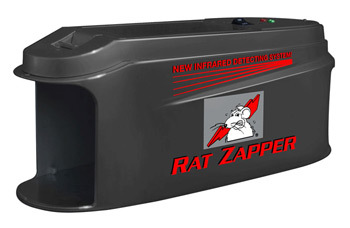 Quick Death — Rodents of all sizes are welcomed in the Rat Zapper. Finally, Baurenfield said first generation poisons are being used in about 15 locations, about 3 percent of the total available park and open land spaces in Los Angeles but didn’t list specifics sites. 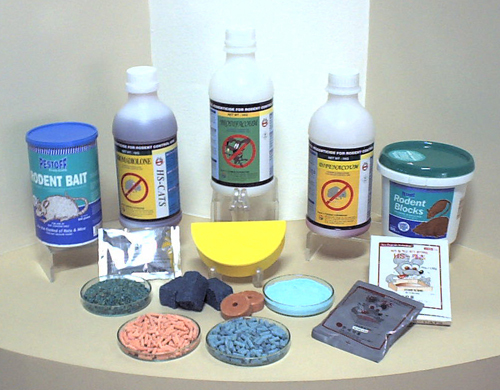 PICK YOUR POISON — Rodenticides come in a variety of names and forms. Simard said that this small victory for CLAW – her group was the one that originally brought the concern to Councilman Paul Koretz who enthusiastically backed it in the committee along with Councilmen Mitch O’Farrell and Tom LaBonge – will propel her group to now work more to educate citizens about the dangers of using rat poison. After all, what good does it do if parks and wilderness areas are poison-free but homeowners continue to use rodenticides? First generation rodenticides are still available over the counter. Second gens were banned this year for sale to the public, however, professionals can still use that double deadly poison anywhere if they are paid to do so. In addition to raising awareness and passing up rodenticides, Simard says her group is going to educate homeowners to consider other natural ways of handling pest by introducing and encouraging owls to take up residence. 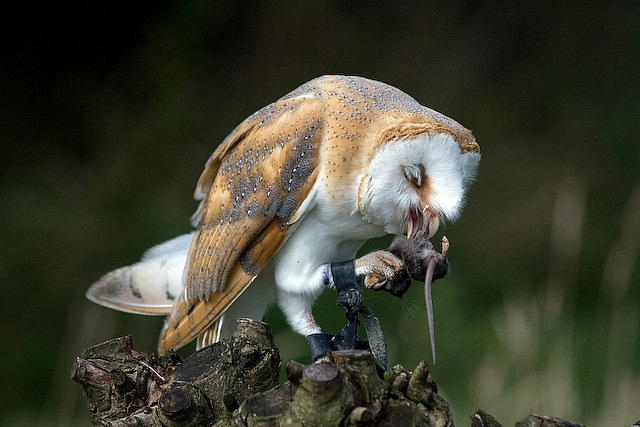 A single pair of barn owls can consume over 2,000 rodents a year – and they do so without chemicals or traps. Just keep their food clean and, in theory, owls can take care of the problem. UP IN THE SKY — Owls could be the answer to LA’s pest problems. 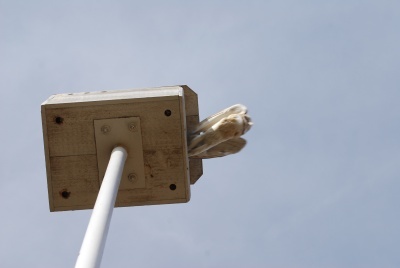 Councilmember Koretz asked Bauernfeind about installing owl boxes in Griffith Park, but she explained it was too problematic given the hillsides and terrain. Here, Simard disagrees and hopes that through grassroots organizing, reaching out to service groups and energizing residents, one day parks and wilderness areas in Los Angeles will boast minimal mice, rats and ground squirrels populations, kept in check by a natural and chemical-free way.